Each year, the travel industry collectively spends billions of dollars on advertising. With more destination marketing organizations being formed and more funding allotted to these organizations on a global scale, the challenge to “break through the clutter” with tourism-related advertising creative continues to grow. Before dropping its new campaign, one of Destination Analysts’ state tourism office clients needed to test that each conceptual and creative component was contributing to the critical, overarching objective of inspiring interest in the state as a travel destination, and converting potential travelers to actual visitors. The findings from this research illuminated several important items that could be adjusted to maximize the success of the campaign. 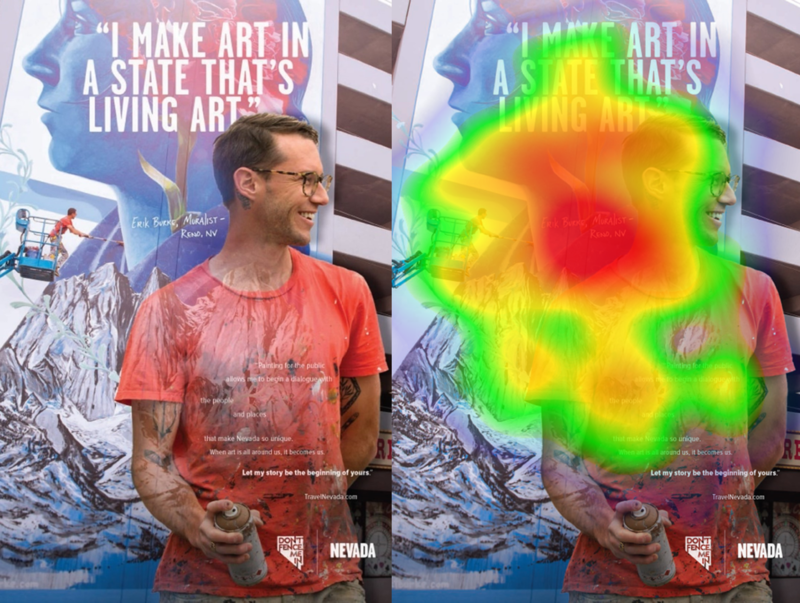 Perhaps most importantly, the heat mapping component of our study revealed that undue attention was being dedicated to the “character” featured in the creative. Although the character had been intended simply to serve as a spokesman for the DMO’s message, in the eyes of viewers, it seemed that the character himself had become the message. This concept was explored further in the in-depth interviews, through which it was ultimately concluded that the character indeed distracted from the DMO’s intended message, and that the creative in this form would not fulfill its objective of motivating viewers to visit the state. 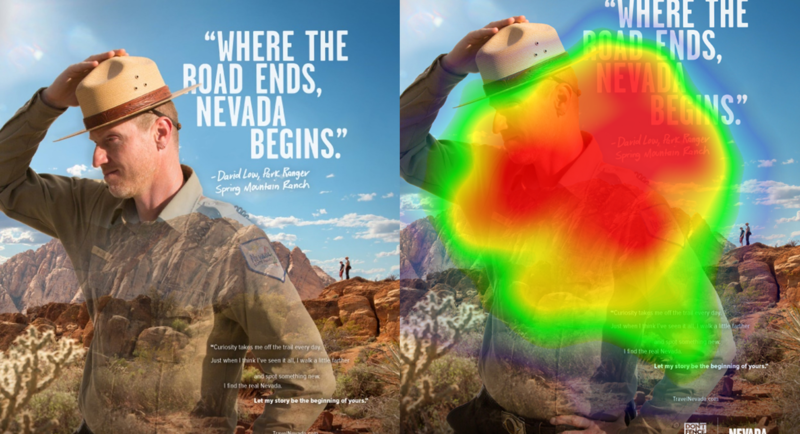 Interestingly, political biases were provoked by certain visual elements of the ads, which were then changed or removed. Also, for this destination, it was found that single-activity-driven messaging in ads for this state went too far in limiting the scope of the audience that positively responded to the ads and the idea of visiting. Nevertheless, several elements of the ad were successful in presenting new and exciting sides of the state, and work was put into further highlighting these in later iterations of the creative. With suggested adjustments, Destination Analysts helped the state tourism office refine their ad creative in order to communicate the messages they want potential visitors to understand. The state tourism office institutes this important research prior to each new campaign.